FLINT, Mich. — People from all over the country have opened their hearts to give what they can to help Flint’s recovery. Including Kadira Sahic who left her career she loved in Willoughby, Ohio and decided to move to Flint because she felt it was the right thing to do to help a community in crisis. "I was a general manager for McDonald's, it was my career I did it for ten years I loved it. Then when the Flint water crisis started I read about it, and I felt I needed to do something," Sahic said, in an interview with NBC25. Sahic said she quit her job, left everything behind and moved to Flint to help. Sahic joined Flint Recovery Corps through Americorps and started working alongside Michigan State University-Hurley Children's Hospital Pediatric Public Health Initiative (PPHI) in January of 2018. The Flint Recovery Corps is administered by the United Way of Genesee County and is an AmeriCorps program designed to place members in local organizations to address the long-term needs of Flint residents related to the water crisis. PPHI was awarded three members for one year. 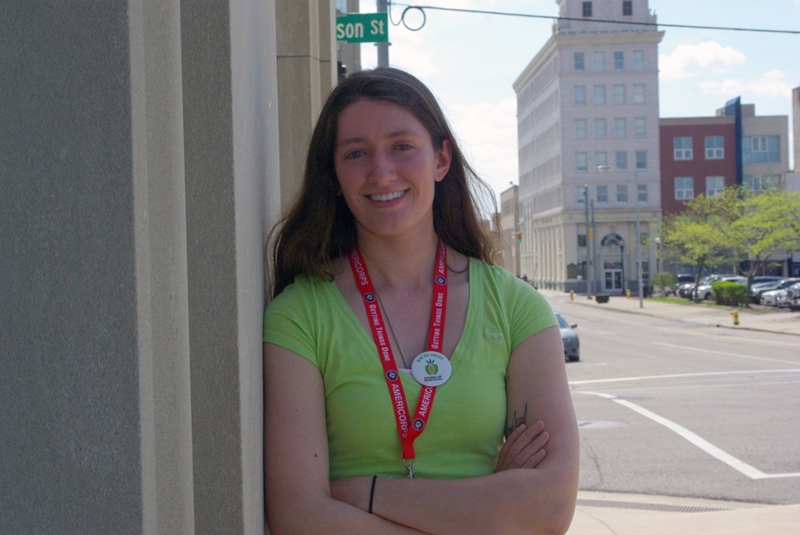 The AmeriCorps members work closely with our key initiatives around nutrition and literacy. They enroll families in Double Up Food Bucks and Imagination Library, connect families to existing services, and share information about the Flint Registry. They are at the Hurley Children’s Clinic, early education sites, Hurley Food Farmacy, and Help Centers weekly. They also assist with the Flint Kids Cook classes, newborn literacy bundles, and the neurodevelopmental assessment project (IRISE Flint). “It's my responsibility to reach out to the community and share information about the Double Up Food Bucks program, the Flint Registry, our IRISE study, and much more. Every day is a new learning experience, and I'm so grateful to be serving with PPHI,” says Sahic. Sahic was featured on NBC25, read the full story here.